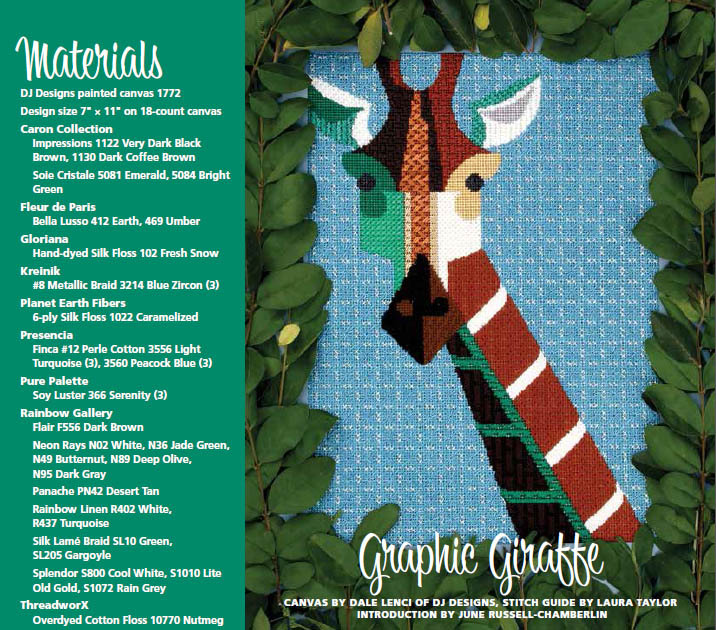 Dale’s amazing Giraffe canvas is featured in the July/August 2018 issue of Needlepoint Now! This superb 3-page article includes an interview with Dale plus a stitch guide by Laura Taylor. Read the full article here. Laura Taylor is an amazing stitcher and a top needlepoint instructor. We’re proud to offer classes with Laura in our store. Check our Events Calendar for upcoming opportunities to work with Laura. Needlepoint Now is the only commercial magazine dedicated solely to the art of needlepoint. Find out how to subscribe here.